Coal is a black combustible sedimentary rock that most creationists believe formed during the Biblical flood of Noah. Coal is not only a stark memorial to the Noah's flood but also bears witness to the reliability of the Bible. Basically, Peat, Lignite, Sub-bituminous coal, Bituminous, Steam coal, and Anthracite are the coals that we use mainly in our life. Coal is used not only as an energy source, but also as an industry. Coal gives us a lot of help but also has a detrimental effect on us. Workers who mining coal can easily get diseases such as cardiopulmonary disease, chronic obstructive pulmonary disease, hypertension, lung disease, and kidney disease. Furthermore, coal has an adverse effect not only on people but also on natural environment. Nowadays, coal is the most used fossil fuel and a non-renewable energy source. However, since 200 years ago, people consumed an incredible amount of coal. Higher energy demands and poor efficiency practices have increased coal usage. Therefore, it’s now critical to find alternative means of energy generation before depleting the global supply. It is a picture showing the formation theory of coal. Like all fossiliferous rock, the origin of coal is a key point of contention between Biblical and secular scientists. Most creation scientists regard coal as having formed due to the destruction and subsequent burial of the preflood forests during the Biblical flood. This unique catastrophe would have devastated the entire forest and vegetation cover of the earth’s surface. Some debris would been buried immediately by explosive volcanic blasts, whereas other debris would have been carried off by the rising waters. Thus whole coal measure sequences with multiple seams would have been deposited rapidly. The creation geologist, Tas Walker, has described the formation of coal beds in the the Gippsland Basin in Australia through the Biblical flood model. It is viewed that the Basin was filled with sediment early in the second part of Noah’s flood by flowed off the land and the receding floodwater have deposited sediment around the edges of the continent. After, continued erosion by fast flowing water eroded the north of the Gippsland Basin and covered the coal measures with sands and gravels, so that has originated the coal. There is an evidence how Gippsland Basin is related with Noah's flood. The sediments at the Gippsland Basin was folded and the top of the fold was sliced off and that is consistent with erosion by broad sheets of receding floodwaters. Also, the kinds of plants in Australia today are similar to the plants in the coal buried during the final stage of the Noah's flood. Therefore, coal is not only a stark memorial to the Noah's flood but also bears witness to the reliability of the Bible. Secular geologists argue that coal is usually made by accumulated plants, giant plants and ferns. When the accumulated plants, giant plants and ferns die, decrease of the sea levels created many swampy environments and they form layers at the bottom of the swamps. Later, water and dirt begin to pile up on top of the dead plant remains. Over thousands of years pressure and heat build up on top of the plant remains, undergoing chemical and physical changes and pushing out the oxygen and that finally becomes coal. 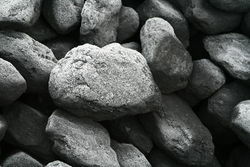 Coal is a black combustible sedimentary rock and it is often in the form of lignite which contains a high content of volatile matter and low carbon content. The type of coal is generally defined according to the grade of metamorphism. Energy holds more when it has a higher grade of metamorphism. Basically, Peat, Lignite, Sub-bituminous coal, Bituminous, Steam coal, and Anthracite are the coals that we use mainly in our life. Peat is generally considered a precursor of coal, but it also has been used as a fuel too. It can be very useful to soak up oil spills when it is in dehydrated form. Lignite is the lowest quality coal and the first one to be formed. Also, it is a low grade fuel with a high moisture. Sub-bituminous coal is the coal which most often is used as fuel for steam electric power generation. Bituminous is a dense sedimentary rock which contains 70% to 86% of carbon and 31% to 46% of volatile matter. Also, it is a high quality type of coal. Steam coal is a transition type between bituminous and anthracite and it also known as thermal coal. This coal is suitable for electric power production. Anthracite is a hard, shiny coal which contains 86% to 98% of pure carbon and 3% to 8% of volatile matter. This coal is the highest rank of coal and highly valued for its properties. It is a picture of a coal factory that used in the coal in the coal industry. Coal is a very common natural resource. However, it is a indispensable natural resource to people. Coal is used primarily as an energy source, either for heat or electricity and it is generate through combustion. For example, Coal fired power stations generate 40% of global electricity. Usually, the energy is used to heat homes and heat from burning coal boils water. Also, steam from the burning coal spins a propeller and that turns into electricity, that powers factories. Coal can also used as plant fertiliser. Coal can be turned into ammonia fertiliser by breaking it into carbon monoxide and hydrogen gas. Therefore, coal can be used not only as energy but also as a biological raw material. Coal is used not only as an energy source, but also as an industry. Steel industry is the second largest user of coal after the electricity production. About 70% of steel is created using coal. More than 600 million tons of coal were used to produce more than 1 billion tons of steel. Coal is also used as an energy source in the cement industry. Large amounts of energy are required to produce cement. Therefore, kiln usually burn coal in the form of powder and consume around 450g of coal for about 900g of cement produced. The paper industry and the aluminum industry also require a large amount of coal energy. Therefore, coal being the cheapest energy resource forms an essential input to these industries. Coal is also used for chemicals and pharma industry, such as creosote oil, naphthalene, phenol, benzene, soap and shampoo. These are produced by products of chemical. 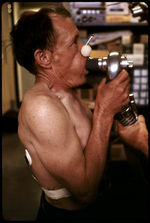 It is a picture of person who got black lung disease by coal mining. Coal gives us a lot of help but it also has a detrimental effect on us. Workers who mine coal can easily get diseases such as cardiopulmonary disease, chronic obstructive pulmonary disease, hypertension, lung disease, and kidney disease. Because coal contains sulfur, burning it produces sulfur dioxide. Sulfur dioxide causes lung damage and heart problems. Therefore, it aggravates cardiovascular and lung diseases. Representatively, workers who mine coal can get black lung disease by breathing in coal dust. It results in shortness of breath, and puts individuals at risk for emphysema, bronchitis, and fibrosis. Black lung disease is incurable and increasing in severity. Therefore, about 1,200 people in the US still die from black lung disease annually. Also, workers can get silicosis, which is caused by the inhalation of fine particles of silicia, a very common mineral in the Earth crust. Coal-borne disease caused 13,200 deaths in 2010. Also, the analysis found that coal-borne disease resulting in more than 20,000 heart attacks, 9,700 hospitalizations, and more than 200,000 asthma attacks. Coal has an adverse effect not only on people but also on natural environment. Sulfur dioxide from burning coal can combines with atmospheric water to form sulfuric acid, that acidifies water then soils, and can hinder the development of plants. Furthermore, coal mining releases methane, carbon monoxide, and carbon dioxide. Transporting these add 600000 tons of nitrogen oxide to the environment. Therefore, this causes global warming. Underground mining causes widespread damage to the environment. Underground mining huge brings huge amounts of waste earth and rock to the surface. This waste often becomes toxic when it contacts air and water. Also, when coal and other rocks unearthed during mining mix with water, this creates acid mine drainage. The water takes on toxic levels of minerals and heavy metal and leaks out of abandoned mines. From there it contaminates groundwater, streams, soil, plants, animals and humans. This picture shows that the overuse of Earth resources such as coal is increasing. Coal is very old and reserves are finite. Since 200 years ago, people consumed an incredible amount of coal. Nowadays, coal is the most used fossil fuel and a non-renewable energy source. 7 billion people on the planet, the demand on coal continue to increase. Also, people excessive and unnecessary use of coal. Therefore, coal is all about to gone and the climate seriously impacted. People often claimed that we have enough coal to last hundreds of years. In 2011, it was estimated that we have enough coal to meet global demands for 188 years. However, if the demand increases, the timeframe will decrease. Also, if people step up production to fill the gap left through depleting our oil and gas reserves, the coal deposits we know about will only give us enough energy to take us as far as 2088. In addition, researcher David van Wyk said, the rate at which South Africa’s coal is being mined is unsustainable, and all known reserves will be depleted by 2050. Higher energy demands and poor efficiency practices have increased coal usage, and it’s now critical to find alternative means of energy generation before depleting the global supply. It takes individual and community actions to reduce the dependence on fossil fuels. One solution to prevent depletion of coal usage is to go green. Using green energy electricity services such as solar energy to reduce pollution can reduce coal use. Another solution is to reuse many consumer goods instead of discarding them. Reusable glass plates and cups reduce the amount of styrofoam and plastic that require fossil fuel resources such as coal. This video is about underground coal mining. ↑ Snelling, Andrew & Mackay, John. Coal, volcanism and Noah’s Flood Journal of Creation 1(1):11–29. April 1984. ↑ Tas, Walker. Coal: memorial to the Flood Creation Ministries International. Web. May 4, 2017. ↑ How Coal is Formed PSEG. Web. May 15, 2017 Unknown Author. ↑ 4.0 4.1 4.2 Coal and Its Uses TEEIC. Web. May 5, 2017 Unknown Author. ↑ 5.0 5.1 How Is Coal Formed – A Process Spanning Eras Planete Energies. Web. May 14, 2017 Unknown Author. ↑ 6.0 6.1 Andrei, Mihai. How coal is formed zmescience. Web. May 15, 2017. ↑ Use of coal EIA. Web. May 5, 2017 Unknown Author. ↑ 8.0 8.1 Top 5 Facts: Uses of coal How It Works. Web. May 5, 2017 Unknown Author. ↑ 9.0 9.1 Shah, Abhishek. Uses of Coal Green World Investor. Web. April 9, 2011. ↑ 10.0 10.1 About coal mining impacts Greenpeace. Web. May 20, 2017 Unknown Author. ↑ 11.0 11.1 11.2 How dangerous is coal? Network. Web. May 20, 2017 Unknown Author. ↑ 12.0 12.1 12.2 Coal: Dangerous Power Energy Justice Network. Web. May 20, 2017 Unknown Author. ↑ 13.0 13.1 13.2 The End Of Fossil Fuels Ecotricity. Web. May 21, 2017 Unknown Author. ↑ 14.0 14.1 The needs of 7 billion people The World Counts. Web. May 21, 2017 Unknown Author. ↑ Health risks associated with Coal miningSA’s coal reserves will be depleted by 2050, says researcher Mining Weekly. Web. May 21, 2017 Unknown Author. ↑ List of Ways to Reduce the Use of Fossil Fuels Seattlepi. Web. May 21, 2017 Unknown Author. This page was last modified on 6 June 2017, at 16:46.